The comedy writing partnership of Galton and Simpson is dramatised from the moment Hancock fired them, through writer's block, until they finally struck gold with Steptoe and Son. A dramatisation of Ray Galton and Alan Simpson's comedy writing partnership - from Tony Hancock's departure to striking gold with Steptoe and Son. Starring Marc Wootton, Phil Cornwell, Barry Castagnola, James Hurn and Toby Longworth. Weaving comedy archive and newly written scenes, the show follows the tortuous search for Oil Drum Lane, the fictional address of Steptoe and Son. 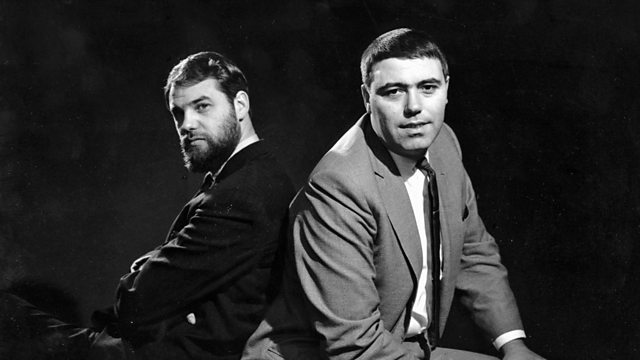 Ray Galton and Alan Simpson met in a tuberculosis sanatorium in 1948. They became friends through a shared passion for radio comedy. To amuse themselves, they broadcast their own sketches over the hospital radio. After sending their material to famous comedy writers of the day Denis Norden and Frank Muir, Alan and Ray were encouraged to post some scripts to the BBC. An unexpectedly positive response left the fledgling writers ecstatic. Soon they became regular sketch writers for the BBC. They met Tony Hancock and rose to the top of their profession. But when Hancock decided to go it alone Galton and Simpson were devasted and left high and dry. The team was then commissioned by the colourful head of light entertainment at the BBC, Tom Sloane, to write ten comedy plays - but the loss of Hancock generated an impenetrable writer's block - until they hammered out a pilot sit-com that became Steptoe and Son.